KIDZ 4 : For 4 year olds. Groups of 4 children maximum guaranteed. Your children will soon be skiing like grown ups, at the start with the help of the magic carpet then, after 2 or 3 days, they will use the chair lift. At the end of the week they will be skiing autonomously. CLASSIC 6 : From 5 years old. Groups of 6 children maximum guaranteed. From beginner to level 6. The groups will be made up of children of the same age and level. The instructor can instruct the children individually and give personally directed advice in an enjoyable atmosphere, progressing whilst having fun. POP 6 : From 10 years old. Groups of 6 children maximum guaranteed. This ski group lesson is for those having already achieved level 6. 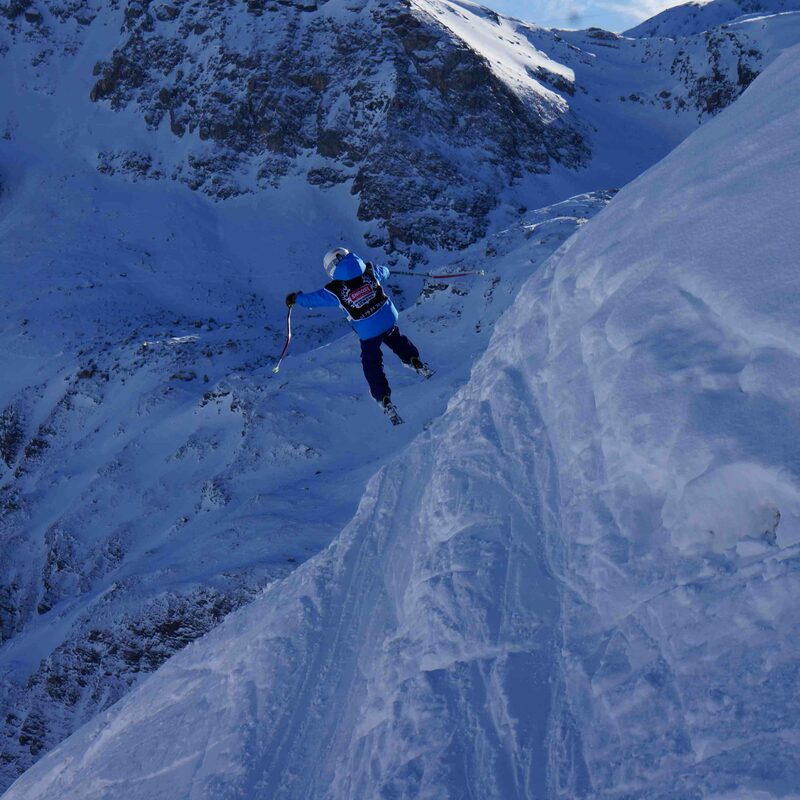 Convinced that to be a good skier you have to go everywhere and experience all terrains and snow conditions, we have created a fun programme, skiing off the beaten track. What is my child's level? Skiing should be fun. 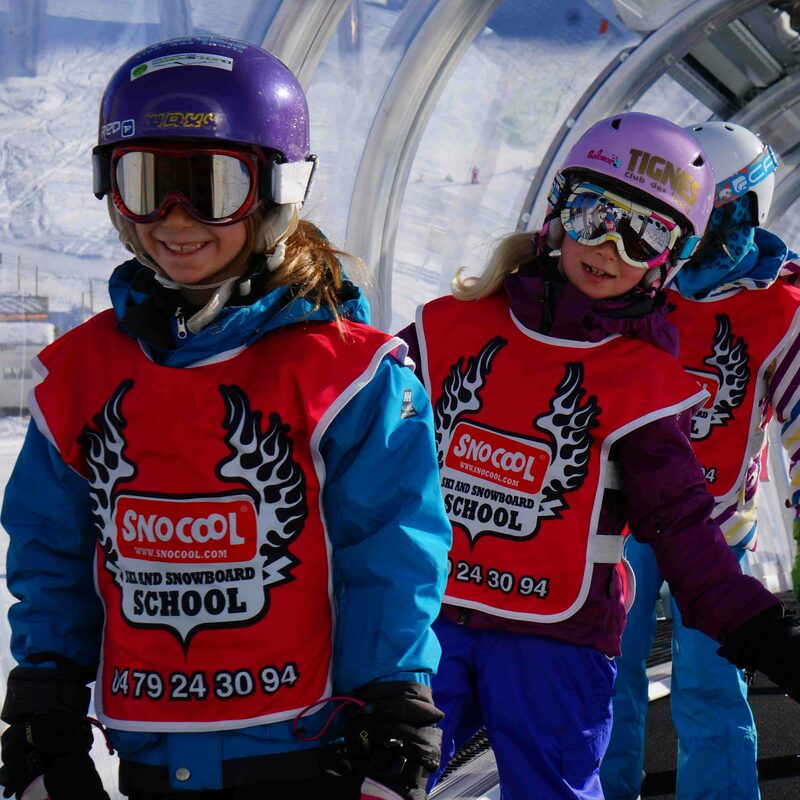 At Snocool, we have put our classes together to ensure that your child will love skiing, kind instructors and small groups of 6 maximum (4 maximum in KIDZ4). Thanks to our mini groups, the instructors spend more time with each child. They will do lots of skiing, have fun and progress in complete safety. The small groups form bonds and will enjoy a friendly week together. Misha will make up the groups according to age and the description you give regarding the ski level of your child. Let us know which medal they last received. The instructors will harmonise the groups during the first morning of lessons. Some children may change group again during the week if they progress more rapidly than others or if the progress of the group is too rapid for them. As the groups are small, they will do a lot of skiing. They will need a little snack break to regain their strength and to warm up. This break often takes place in our warm offices. The instructor will take advantage of this break to give the children some water and dry their gloves if necessary. Please arrive at the meeting point about 10 minutes before the lesson start time. 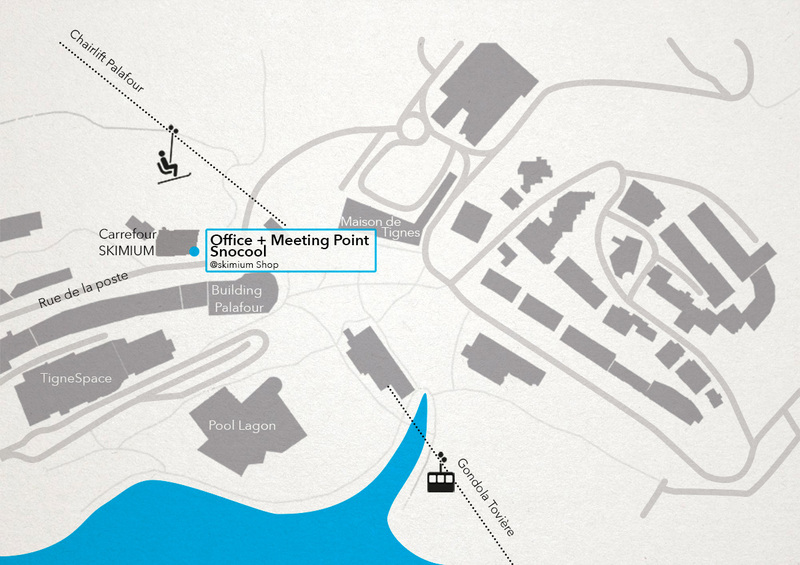 The classes meet in front of the Snocool office located inside the Skimium ski shop (Duch) very close to the Palafour chairlift. If you are not sure how to find it, click on the map opposite.